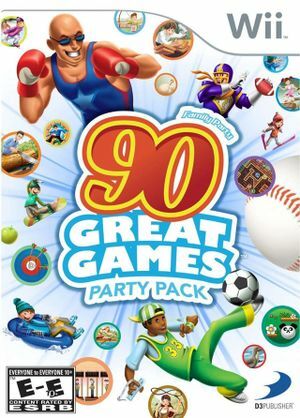 Family Party: 90 Great Games Party Pack features a unique variety of summer games, winter sports, arcade games, board games, and more! Winter Fun games also feature cooperative game play, where 4 family members can play together to win medals! At less than 25 cents a game, it's the ultimate can't miss holiday gift for the whole family. The graph below charts the compatibility with Family Party: 90 Great Games Party Pack since Dolphin's 2.0 release, listing revisions only where a compatibility change occurred. This page was last edited on 2 February 2018, at 09:28.